You might be freshly out of your high-school, in your first year of your college or the last year figuring out what you want to do after your graduation. You have searched all over the internet and yet, have not been able to decide whether to pursue higher education or get a job. You have spoken to your parents but don’t feel they understand you because of the generation gap. You have spoken to your friends but they don’t have enough knowledge. You don’t have the means to reach out to the people in the industry. You have been reading about people doing what they love and you wonder — How did they get there? Seriously, calm the heck down and stop expecting. You are worried because you are surrounded by your illusory competitors. You want to have a better job or land up in a better B-School than these competitors. If you want to have everything better than your illusory competitors, you should stop reading this already. If not, you need to look for what you really want to do; what you love to do, in fact. When I heard during my college days, I didn’t understand it. But now, this makes so much sense. In today’s world, it is difficult to find what you love to do. With so many opportunities available, you tend to have a lack of industry insight regarding a specific job/function. 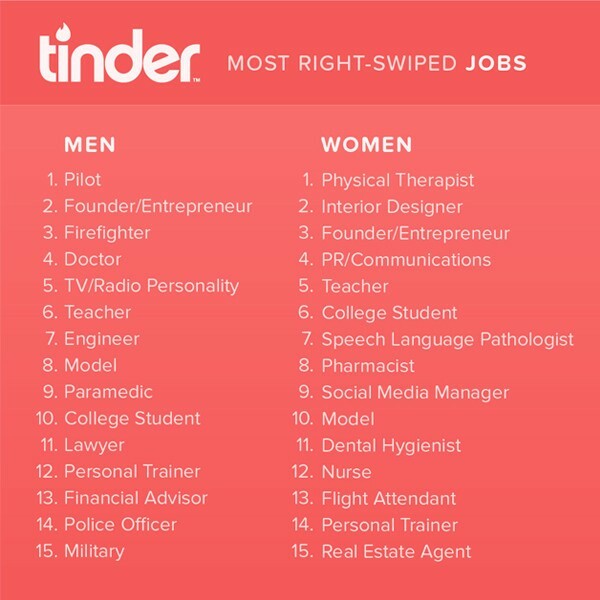 Finding your career is just like Dating. Yes, I am now talking about those cute lovely moments we all have had in school or college. Every time we liked someone we termed it as “Love”. You have been doing the same rut which is required to look for a career for yourself. Let’s take a look at your first love. You went all out, made yourself available, stalked them on social media, asked your friends, started spending time together and what not! It’s the same rut you have to follow when it comes to choosing a career. You need to go out in the industry and gain personal experience. You will eventually know if you like doing the work or not. You are never going to learn what you love to do while reading articles or talking to your pals. This is the right time to try different fields, so that once you graduate you will at least be sure what you like and want to do. Go out into the industry and ask for an internship in the company you would want to work for. The least you can expect is — No! Which is still fine, you didn’t have it anyway. Try for another and yet another company you would want to work for. You will surely make your way in the industry. Instead of commenting on your friend’s photos or talking to your crush on Facebook, spend some time on LinkedIn and connect with people from the same area of your interest. Drop a message to them asking about their professional experience. You never know, they might have an opportunity for you. Be ready to take an “NO” from most of these people. They might not respond adhering to their busy schedule but no harm in asking, right? It is pretty impressive the way MentorMind (www.mentormind.in) is helping college students to connect with various companies and vice versa. You can opt for various challenges according to your field of interest. Here’s how you will find what you loved doing the most and look forward to pursuing it in future. There’s also Young India Challenge (www.youngindiachallenge.com) – an experiential event focused on the idea of #DoWhatYouLove and making an impact. The 8th edition will be organized on March 4-5, 2017 at IIT Delhi. Applications are open. There is no rush! There are no illusory competitors! It’s YOU! I am sure you still might have more doubts. Find answers to your doubts or look for people who can! Don’t Settle, Ever. You will grow, you will make mistakes and it’s human to make mistakes but maturity is when you learn from them. The 7th Young India Challenge (YIC) was organised on 22nd – 23rd October 2016 at Rajiv Gandhi Institute of Technology, Mumbai for the top 10% of the innovative young minds in India. It was the first edition in Mumbai after the first 6 in Delhi. 150 delegates were selected from more than 10 cities to participate in the experiential events, which comprised of personal growth workshops like ‘Hack Your Brain’ and inspiring sessions like ‘#DoWhatYouLove Stories’ and ‘You are the Story’. At the end of day 1, delegates were divided in teams of 8-10 people and were given a challenge to find solutions for the United Nations Sustainable Development Goals around issues like clean energy, education, smart cities, health and well-being etc. The delegates were mostly under-grad, post-grad and recent grad students from diverse universities in India. One of the most talked about challenges at this YIC was mental health for young people. Eventually two winning teams were announced. Each winning team member was given some exciting rewards and opportunities, worth Rs 35,000 by our partners – Talerang and AIESEC in Mumbai. Besides this, all YIC delegates were given a scholarship worth Rs 2 lacs for MISB Bocconi’s ‘Post Graduate Program in Business’ and many other opportunities to with Human Circle’s partners. All the delegates and teams experienced several mentorship sessions with 15-20 mentors from across different parts of the society. Some working with startups, some running their own, some working as branding, marketing, finance and research professionals from MNCs and some from the media, acting, creative, artistic and education space. Speakers and Mentors participated from organizations like Hindustan Unilever, NDTV, MISB Bocconi, Ecomytra, DesignThinkers, Avendus Capital, Talerang, Handtribe, Indian Institute of Digital Education, LeapForWord, Hay Group Korn Ferry, Housing.com, Chtrbox, AIESEC and several others. YIC offers its delegates many opportunities to find mentors, work opportunities and recommendations to pursue higher education in some of the finest centers of learning. Given the limitations of the Indian education system, in terms of its lack of practical and experiential nature, we feel there is a strong need to introduce young people to new ways of gaining knowledge beyond their graduation or MBA degree. YIC is a creation of Human Circle – a movement to inspire, enable and empower people to follow their passion and reach their goals. The movement is driven by students, artists, freelancers, entrepreneurs, young professionals, authors, speakers, trainers, coaches, mentors and everybody else who believes that the only way to be truly successful, rich and happy in life is by doing what we love. This simple wisdom is translated by our ‘happiness team’ into experiential physical/virtual platforms and programs like hangouts, seminars, workshops, conferences, retreats, masterminds and festivals. “As per the ‘Nationality Employability Report’, 50% of the graduates in India are unemployable in the knowledge sector of the economy. This ratio is worse for people who obtain an engineering or MBA degrees. Students must explore their passion and pursue their higher education only in the area of their interest” – Kamal Seth, Founder & Chief Happiness Officer, Human Circle. By extending YIC to Mumbai, Human Circle demonstrated its commitment towards providing more students in India, with new ways to learn, explore, experience and become outstanding change makers. The YIC team thanks them for their encouraging support and empowering us to increase the scale of the #DoWhatYouLove movement. The 8th Young India Challenge (YIC) will be organized on 4th – 5th March 2017 at Indian Institute of Technology, Delhi for the top 10% of the innovative young minds in India. It will be an ‘Impact Edition’ focused on the United Nations Sustainable Development Goals. This YIC will be the biggest ever with 1000 selected participants and 100 mentors and speakers! Candidates will be selected from across the country to connect diverse minds to do the challenge and find solutions for India’s most critical problems. This time, YIC will have the biggest ever rewards for all delegates. Each participant will be given YIC’s ‘Certificate of Excellence’ as recognition of being a top youth influencer in India. Winning teams will be rewarded with scholarships and prizes worth atleast Rs 1 lac! Key Partners/Mentors/Speakers Pool: Facebook, Microsoft, IBM, KPMG, Boston Consulting Group, NDTV, Startup Weekend Powered by Google, Hindustan Unilever, BW|BusinessWorld, SaveLife Foundation, Sarvam Foundation, Young India Fellowship, Ashoka University, MISB Bocconi, Talerang, CoWorkIn, I Impact India, Startup India, AIESEC and many more. All the delegates and teams will experience several mentorship sessions with mentors from across different parts of the society. Some working with startups, some running their own, some working as branding, marketing, finance and research professionals from MNCs and some from the media, acting, creative, artistic and education space. YIC offers its delegates many opportunities to find mentors, work opportunities and recommendations to pursue higher education in some of the finest centers of learning. Given the limitations of the Indian education system, in terms of its lack of practical and experiential nature, we feel there is a strong need to introduce young people to new ways of gaining knowledge beyond their graduation or MBA degree. “As per the ‘Nationality Employability Report’, 50% of the graduates in India are unemployable in the knowledge sector of the economy. This ratio is worse for people who obtain engineering or MBA degrees. Students must explore their passion and pursue their higher education only in the area of their interest” – Kamal Seth, Founder & Chief Happiness Officer, Human Circle.